One Company. One Vision. One Goal. Positioning is a means of describing the core value your product or service delivers to your customers. A powerful positioning message describes credible benefits that are important to the customer, and are verifiable. For Corporations who want to develop a clear vision and unique value proposition for their new products. Our Product Innovator Positioning™ Process provides rich, in-depth information on your market, and harnesses internal innovation to highlight your unique competitor advantage. Our proven processes and techniques enables internal vision sharing and encourages the whole company to work as a team to deliver world class customer value. We facilitate an intensive 2-day workshop where we use the outputs of the market analysis and customer insight stages to identify the value proposition and potential strategic approach for the successful introduction of our client’s new product or service offering(s). “We first contracted Product Innovator at an early stage of our development when market Intelligence and product placement was critical. 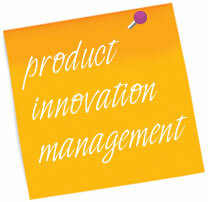 Product Innovator helped us to position our company and gave us a very clear perspective of our competitive landscape. Although we had performed our own competitive analysis, Product Innovator uncovered a few surprises that were very definitely on our horizon. We initially selected them because we felt they understood our vision and we hoped this understanding would yield great results. We were not wrong. From the beginning Product Innovator were totally committed as one would expect, they also however were proactive in bring information to our attention that they felt may be relevant throughout the project. Indeed we are delighted to say that Product Innovator went beyond the call of duty in the research, preparation and delivery of the project. Product Innovator have an excellent knowledge of ICT, and in our case their knowledge of the Software Industry and their understanding of software development meant that we were all speaking the same language and we very much felt that we were in safe hands. The combination of their IT expertise, excellent market analysis skills and pure professionalism meant that we achieved an excellent return on investment and we were thoroughly satisfied with the resulting market analysis, indeed it exceeded our expectations. “Amhanta worked with Mary Ryan of Product Innovator Ltd to assist developing our product messaging. Mary’s work with us helped us realise that we needed to look at the business problem we were solving from a ‘whole product’ perspective ensuring all issues for the customer were addressed. This approach has helped us to ‘teach our customer how to buy’. “Product Innovator Ltd helped us to focus on what our product’s competitive advantage is and what steps we should follow to take our product to market. They also assisted with our strategic planning and exploded the myths regarding market research and sales and their differences”.